The government had proposed to initiate audio-video recording of all court proceedings in all the subordinate courts to start with and then in all the high courts and the apex court. However, the apex court's e-committee rejected the proposal saying this was not acceptable at present. The proposal was mooted by the NDA Government during the advisory council meeting of the law ministry held in August which was attended by then law minister Ravi Shankar Prasad, law commission chairman Justice A P Shah and representative of the apex court's e-committee besides top officials of the law ministry. The e-Courts project was conceptualized on the basis of the “National Policy and Action Plan for Implementation of information and communication technology (ICT) in the Indian Judiciary – 2005” submitted by e-Committee (Supreme Court of India), with a vision to transform the Indian Judiciary by ICT enablement of Courts. To provide efficient & time-bound citizen centric service delivery. To develop, install & implement decision support systems in courts. To automate the processes to provide transparency of Information access to its stakeholders. To enhance judicial productivity both qualitatively & quantitatively, to make the justice delivery system affordable, accessible, cost effective & transparent. 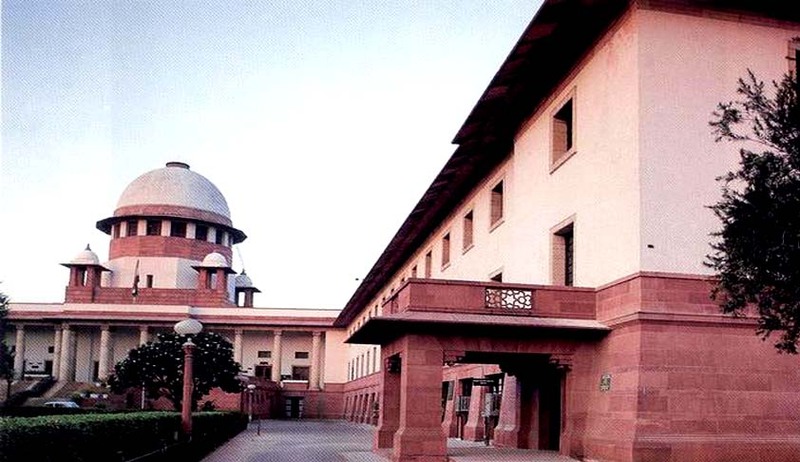 The then Chief Justice of India (CJI) made a proposal to the Central Government under the letter dated 05.07.2004 addressed to the Minister of Law and Justice for constitution of an E-Committee to assist him in formulating a National Policy on computerization of Indian Judiciary and advise technological, communication and management related changes. Appreciating the desirability of constitution of such a Committee, the Union Cabinet approved the proposal. Consequently, office order dated 28.12.2004 was issued by the Ministry of Law and Justice (Department of Justice) constituting the E-Committee under the Chairmanship of Dr. Justice G.C. Bharuka, a retired Judge of the High Court of Karnataka, with three other specialist members. The E-Committee prepared the Report on Strategic Plan for Implementation of Information and Communication Technology in Indian Judiciary which was presented to the CJI on 11.05.2005.Based on the inputs received from persons having expertise in diverse domains relevant for change management in Indian Judiciary, the E-Committee framed the present National Policy and Action Plan for its implementation during a span of five years from the date of its effective commencement. As part of the phase-I of the e-courts project a majority of the subordinate courts have set up computer server rooms and judicial service centres. District and taluka courts have also been covered under the computerization drive with installation of hardware, local area network, availability of case information software etc. The national judicial data grid has case status information available online for 4 crore cases (both pending and decided) and remaining pendency and new cases are fed in the system on daily basis. Consequently, these Courts are now providing basic case-related services to litigants and lawyers. The e-Courts National portal (ecourts.gov.in) was launched by Hon’ble the Chief Justice of India on 7th August, 2013. The tasks proposed in phase one of the e-Courts are yet to be completed. Infact there will be a roll over of these goals into phase II. At this stage it is not possible to start the audio visual recording.